1. Smart TVs : Ultra high resolution glittering and HD losing sheen ? (a) Samsung unveiled its high resolution curved SUHD TV. Samsung has more than 60% of UHD TV market. Its internet connected TV would let Samsung smartphone users share content with their TVs. Users can also stream 4K Content from Amazon, Netflix and other sources. It has introduced a service called Milk Video ( to go along with its existing Milk Music Service ) that’ll create video for streaming to connected TVs. Creates content that complements its hardware, so people can buy Samsung phones and TVs. “ Interaction of tech and content is the in thing.” (b) Sharp’s Ultra High Resolution 4K TV – Aquos Beyond 4K Ultra HD TV – which uses ‘pixel splitting technology’ to sharpen pictures. Available with an 80″ screen. Of significance is the fact that it borders on exceptional 8K resolution. (c) LG announced its First 4K OLED TV with 55″ screen. It unveiled another with 77″ screen that can be changed to curved or flat with the press of a button. LG also pushes for UHD and teams up with content makers Netflix, Walt Disney Studios and others to set standards for 4K TVs and Content. (d) Sony’s Smart TVs running Google’s Android TV Operating System for streaming media is another attraction. BMW prototype car at CES 2015. 2. Smart Cars : Manufacturers with mythical powers like the Audi, Volkswagen, Toyota, GM, BMW … .. . all are visible in this trade show. Driver less Cars probably in 5 years’ time is the practical dream of manufacturers. 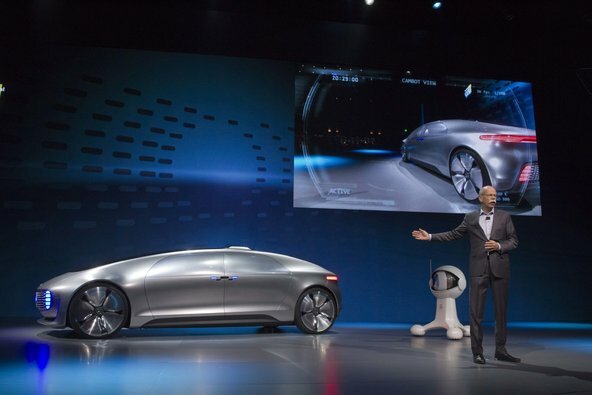 High tech, Self driving cars, and electric cars flood the talk. But, semi autonomous features and incremental improvements constitute the thrust now. Vehicle to vehicle communication, adaptive cruise control are some in this class. (a) BMW demonstrates cars that can park themselves using a smartphone app. (b) Panasonic, the biggest supplier of in-dash infotainment systems, like Ford’s new Sync 3 system ( formerly powered by Microsoft ). Panasonic also delivers the most batteries for electric cars in the world. Latest Tech – Audi unveils new tech car at CES 2015. (c) Where there is innovation infrastructure for Research and laboratories cannot lag behind. AT&T signs up Samsung as sponsor and tech partner for its ‘Drive Studio’, a connected car development laboratory. (d) Like phones, cars are getting smarter. Devices like phones, tablets and wearables connected to cars in a seamless way and LG works hard on this. 3. 3-D Printing : 3-D Printing is counted as the next wave of technology after the Internet and Mobile. HP and Intel’s partnership in this for the latest Multi Jet Ink Printer technology for Fusion printing is expected to be the breakthrough here. Prominent in this trade show has been the NEA 3-D Inc family of Printers with high quality and configuration covering requirements of Home, education, art, entertainment, medical and other professional sectors. 4. Internet of Things : Internet of Things is the happening moment with recognition. Samsung’s Boo Keun-Yoon in his keynote address said : ” Internet of Things is no longer Science Fiction; it is a Science Fact “. Homes, Offices, Vehicles get internet connected. It is roses all the way for the tout ensemble manufacturers of connected grills, refrigerator, coffee makers, door lockers and the likes. Tasks brought into action with individual and independent hardware – be it for taking a photo, playing a video game, or listening to music – have become possible with the use of software. For e.g. Instagram for photos, WhatsApp or Snapchat for messaging, Uber or Lyft for transportation, Apple Pay for Payment System are possible with just a Smartphone, the software giving the right of command. Phones can be connected to cloud and in turn can help connect one another and our wisdom gained from trials in these are astounding. (a) Consider “Fitbit Zip’ when hooked to the belt and counted steps as one moved. Apple’s iPhone and Samsung new phones have built in apps to track motion. With people hooked to the phones more and more independent devices are becoming supplanted making them unnecessary. Better to inegrate devices in to connected systems. 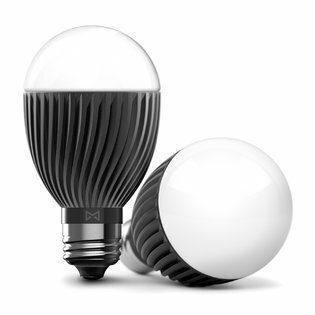 “Misfit” Bolt Smart Light Bulb at CES 2015. (b) ‘Misfit’ Bolt wirelessly connected color changing bulbs is another e.g. With this ‘Smart Light Bulb’ one can control the colors according to mood using smartphone applications. It competes with Philips Hue which for a pack of three will drain your wallet by $ 200. Misfit Bolt costs $ 50 for one bulb and $ 130 for a pack of three. 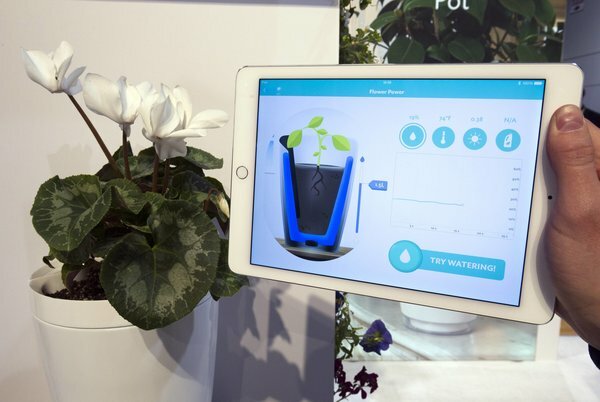 Smart Flower Pot from ‘Parrot’ at CES 2015. 5. Chipmakers’ magic : Speed limit signs, pedestrians hidden behind cars or signs, braking vehicles up ahead, and a speed camera which it picked from a light pole at night in foggy weather – all by processors. Fertile imagination turned in to reality by Chips, Yes. Nvidia Tegra X1 Chip at CES 2015. Nvidia Drive PX, the tech, can detect these effectively. Cars will increasingly use cameras to sense the world around it and super powerful graphic processors will be required to understand and interpret the images. Nvidia, the chipmaker makes high end graphics tech for video games and displaying video and images on Computers and mobile devices announced with it called an ” auto pilot car computer “. 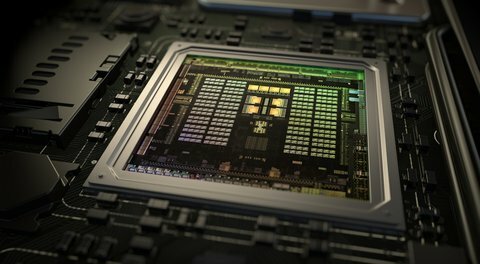 Nvidia built a ‘super computer’ based on its next generation graphics chip, the Nvidia tegra X1. 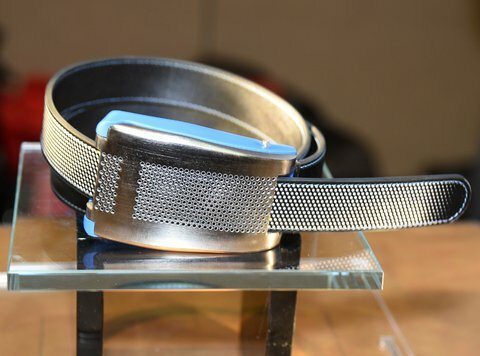 ” Smartbelt ” – Belty from ‘Emotia’ at CES 2015. ‘Emotia’, a start-up company showed its prototype “Smartbelt”, the BELTY which automatically expands and contacts depending on one’;s waist’s need over time. Blutooth enabled toothbrush with 3-D Motion sensors is another in the category. 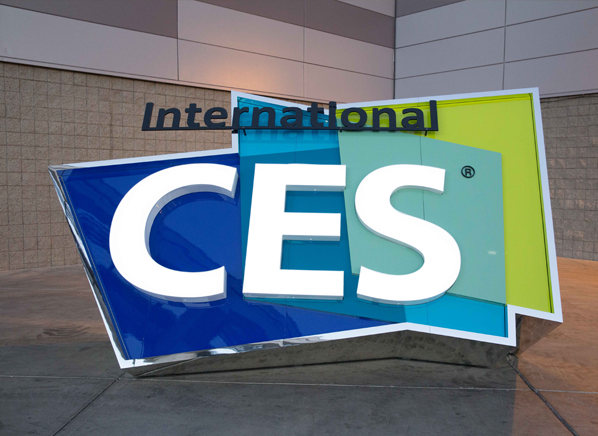 The impulses generated from CES 2015 will have prodigious influence on the lives of people in the planet.